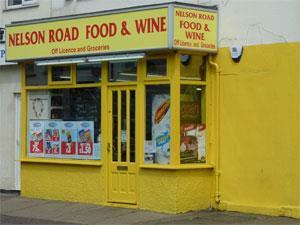 Nelson Road Food & Wine, Great Yarmouth, is a centrally located convenience store selling a range of grocery and household essentials. On arrival in Great Yarmouth follow signs for the Town Centre. Nelson Road Food & Wine is located immediately to one side of pedestrianised Regent Road, at its junction with Nelson Road North. Plenty of parking is available nearby.